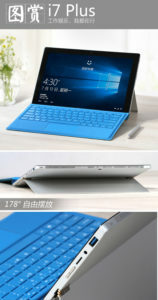 The Voyo VBook i5 and Vbook i7 are Surface Pro style 2-in1 tablets that just recently released in China. The Vbook’s key drawcard is a fully laminated 3:2 aspect ratio IPS/PLS screen, a very nice 2880 x 1920 @ 12.6-inches. That’s not far from the Surface Book’s 3000 x 2000 resolution. But the tablet also has decent connectivity 2 x USB 3.0 (one each side) Mini HDMI, USB 3.1 Type-C, MicroSD, D/C charging. It supports an optional pressure sensitive stylus with 1024 levels and a type-cover stylus keyboard. Some more press images below thanks to Adskan who found the JD.com listing. 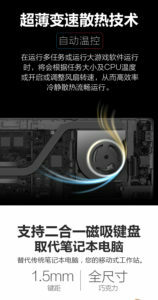 This also shows the cooling system for the tablet will be one fan and transfer heat pipe. Some shots of the ports and the different colored keyboards are detailed. What concerns me is Voyo’s quality in the past I’ve had some issues with rather poor builds, dull screens and other problems. But their Mini PC’s were fine. But we have some Chinese user reviews posted on JD.com to go by. They are very mixed, some saying it’s great and others with complaints of the screen not sitting flat and another of a rather noisy fan. One user, it seems their unit would not even power on! They seem to be the i7 7500U + 16GB models people are having the issues with, not the Vbook i5. 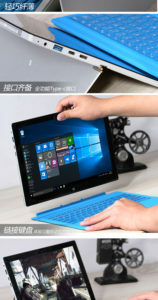 The user’s reviews can be found here (bottom of the page) and future ones on the JD.com Voyo Vbook i5 listing. The Vbook i5 is currently $479, the keyboard $39.99 and the stylus $19.99 over at Bangood. Voyo Vbook i5 ordered! I’ll be the guinea pig as usual! I only saw those user feedbacks after I placed my order…Doh! 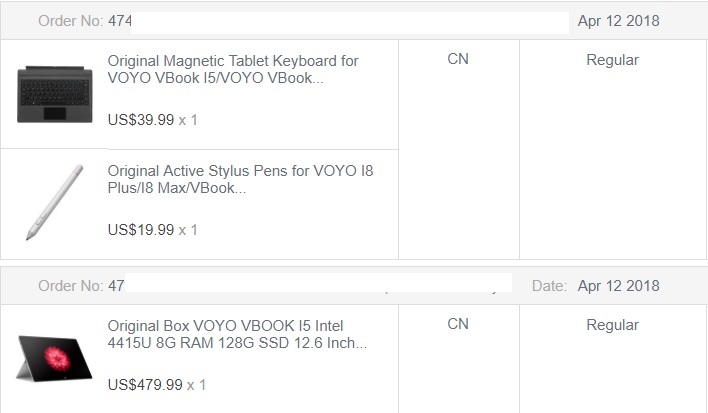 Oh well, seems the stylus and keyboard are in stock they should ship soon, but my Vbook i5 is on backorder for now. I guess I’ll find out when mine arrives in a few weeks, fingers crossed it’s not a lemon. I hope Banggood’s post-sale checks at least ensure I get sent a good one. Since I used the slow free postage, it might take 2-3 weeks. So keep an eye out then for my first impressions of the Vbook i5. I’m just glad Chris that you stopped featuring Voyo products. It was in your site that I got introduced with the brand. I bought their Vbook A1 early 2017 but actually, got a brick is a better description. I advise everyone to stay away from this brand. Here’s how they do based on my experience and from other’s experience that I saw online. They’ll send you one that for sure fails in QA. Mine got the power board break after a month or two. And I’m not even using it before. It was a tablet good for viewing. I reached out only to buy a replacement from them. But there’s a lingering issue. The device keeps restarting because of driver issues. By the way, this is how they try to get away with the issue, they will ask you to do non-sense steps like tape the antenna somewhere else. To cut short, obviously, we end up having to reinstall the drivers. The conversation stopped right there. They never sent a link to the drivers. Then I tried to run the device again this year, now it’s the keyboard. Think twice buying a Voyo. 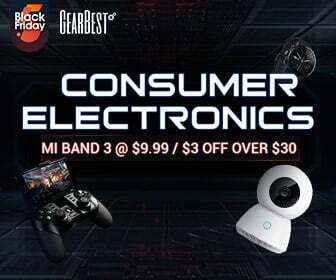 Get a Xiaomi brand instead. How do you open it up exactly? I got one myself but the ram seems to be faulty (Continuous blue screens and memory error detected in windows diagnostic) but DX.com takes 7+ days to respond per email ? Wouldn’t mind checking to see if the ram is at fault! The screws need to be removed on the rear and then you need to pry up the front of it and be careful of the ribbon from the screen to the motherboard. RAM is soldered in place so you cannot change it. I finally got an i7 plus, it really is a nice thing. This is the fastest PC I’ve owned My wife’s got a Surface Pro 4 i5 and the Voyo is physically larger, but the screen is at least as good, and she was startled by how quickly it boots. It does PD charge through the USB-C, I don’t have any hubs but I do have a couple of PD chargers and a Cygnett 20Ah PD/QC3 power bank and they all charge it. I intend to get a 16Gb SODIMM and try it in the RAM slot. 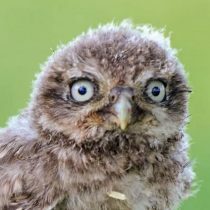 Voyo says 2x8Gb max, but I’ve had laptops before that would take more RAM than they were certified to, and intel says the i7-7500U is good for 32Gb. The 4415U as well, FWIW. Anybody know if it will be possible to for them to offer a backlit keyboard later? Also how is the fan noise for those people that have gotten theirs? No sure. I have mine and the keyboard is the biggest issue I have with it. The screen is fantastic! Like A surface pro or Surface book, but that keyboard drives me mad. Too many missed keystrokes on entering and space keys. It’s quite a poor keyboard. Tomorrow. It’s great (the tablet) but the keyboard isn’t. Very poor keyboard, missed keystrokes and weak magnets. I hate using it. Stylus is also very decent. I just watched your video, proffesional and honest review! However, I am thinking about the i7 plus version with i7 processor. I didn’t want to risk trying to charge with type-C it might not take power at all as it only seems to be USB 3.0 Type-C and there was a Jumper tablet I tried plugging in power too. So I’ll someone else test it. Overall the tablet is great, the keyboard is rubbish. Such a shame! Thanks for the reply Chris and awesome review. Based on what you’ve seen so far should I stick with getting a Chuwi Corebook via Indigogo with keyboard/stylus or go for the Voyo I7, have you ever known companies release better keyboards post release ? Are there any decent 3rd party keyboards? new video review and unboxing . in chinese i think. Just recieved my vbook i5, first impressions are good, good build, screen is great, but i will leave it to Chris for expert review. Thanks for the vid Adskan, looking forward to getting mine delivered soon. Hi Albert, I am so looking forward to receiving my Vbook i5, mine is on its way to Scotland, hope to get it in a few days now. good ;luck with yours. 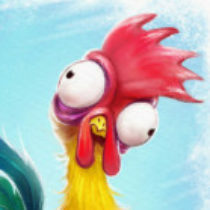 Your right Ice, i am taking a gamble on a Voyo tablet, never bought one before, always Chuwi or Cube, i was gonna buy a Corebook but better tablets coming out now, i hope. 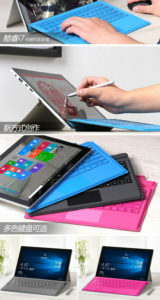 I have ordered a vbook i5 too, i am slightly worried about fan noise now, fingers crossed its a great tablet. I ordered one too: Estimated shipping now April 20 (after April 10). Of course I will report on the noise issue. 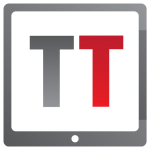 Good… more pressure on Chuwi, adCube, and Teclast to go to 3K LCD panels. 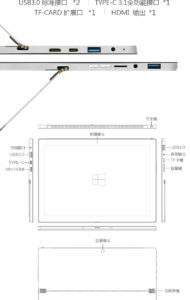 Looks a lot like the Microsoft Surface Pro, but with more ports for 1/3 the cost.